Good training develops leaders who are excited about leading and capable of assisting others in growing to their full potential in Christ. This course includes teaching on the core issues involved in discipleship and restoration with many demonstrations of the small group skills involved. Training can be done individually or in a group setting. Each training whether it be one person or a group will need to use the Leader Training DVD set, along with a Training Manual for each person attending and it is essential for each trainee undertaking the course, these tools will be an invaluable resource for their future leadership as it includes material on skills for intervention and practical tools which can be adapted to a wide variety of small group settings. "I gained some really useful knowledge and skills which are easy to understand and to apply. 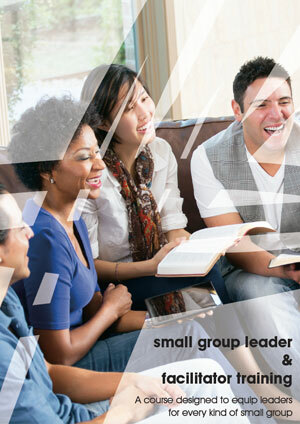 This has been really helpful to me to feel more confident in leading small groups in a variety of settings."